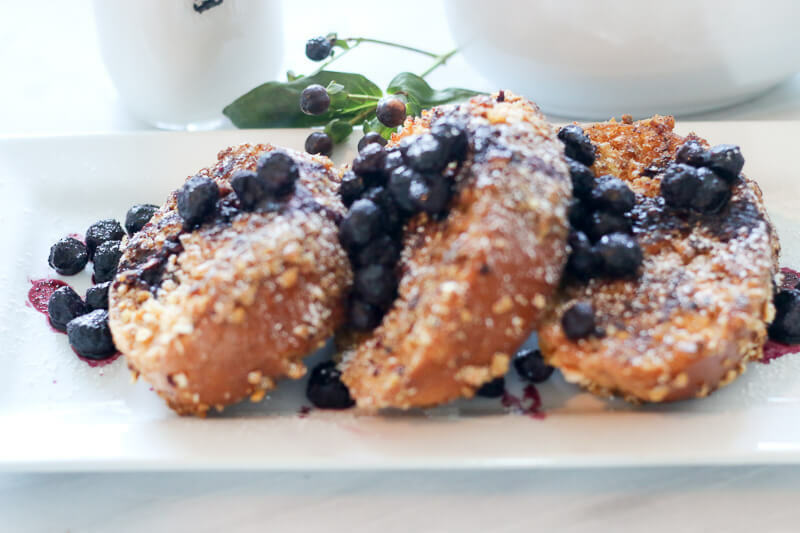 My crunchy blueberry french toast recipe is a combination of a recipe the chef at the Shangri- la in Boracay ,Philipines shared with me that I slightly remixed. While in the Boracay on holiday, I had the best french toast I’ve ever tasted in my life! It was so delicious I had to personally ask the chef to share with me all the ingredients that were in the batter, I know that flavor could not just be eggs,milk and vanilla . 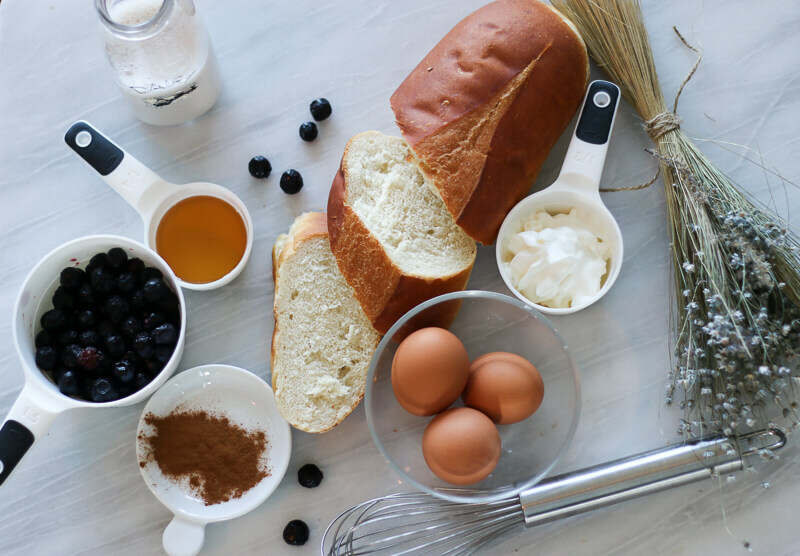 So keep in mind… he shared all of the ingredients not measurements. So through trial and error I was able to find a nice flavor balance. Also his version was made with raisin challah bread, for this recipe I opted to use plain challah.